Statemented provisions are documents made by schools and local authorities to set out how to plan the education of children with special educational needs. The kinds of special needs that might require a document of statemented provisions include profound learning difficulties, profound emotional difficulties, problems communicating, problems developing or physical disabilities. In these cases, provisions are a legal requirement and describe children's schooling for a period of 12 months. Since the method and development of statemented provisions can take up to six months to put together, it is a good idea for parents to contact the school and/or local authority as soon as possible if you believe that your child may need to have this kind of provision put into place. How Are Statemented Provisions Organised? Statemented provisions are set out by children's schools in conjunction with the local authority; they will normally have a SENS worker and/or child psychologist, and/or doctor, to assess a child's needs and then have a meeting to determine the most useful steps to take to provide a mainstream (or otherwise) education. The people who might refer a student for an assessment of statemented provision might include a school teacher, head teacher, educational psychology, GP or you as parent. If you believe that your child might need and benefit from a statement of provision, the first step is to contact your child's head teacher. Request to be sent a detailed report on your child's educational progress and development and request a meeting to discuss the options with regard to Statemented Provisions. This letter format laid out below shows how parents can write to a school to request information on their child's development as the first step to organising a meeting about a child's statemented provisions. My son, Danny Regrough, who is in year 8 at The School House, is struggling with his school work. 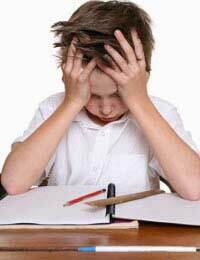 He spends over two hours a night trying to get through his homework but has significant difficulties with communication, specifically writing, as well as some developmental learning difficulties. We have been liaising with our GP as well as a local child psychologist and he has mentioned that Danny could well benefit from a statement of provision at school. To gauge the necessity of such a move, I wondered if you would be able to send through information on Danny's development in the classroom and with his school work over the past year. I would also appreciate the opportunity to meet with you to discuss the possibility of an assessment of the need for statemented provisions. I look forward to hearing from you. You can contact me, Father, on 0131 2343 9049 or 0723422342, or email me at father@parents.com, and hopefully we can meet soon and help to get Danny back on track at school again.